Reached a point in your Korean studies where you need more than just example sentences? There comes a time when Korean learners need prolonged writing and dialogue to challenge them further. 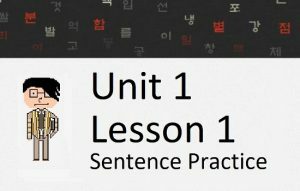 Many readers of this website have asked me if I knew of any great books or stories that they could use to practice their Korean reading. I didn’t, for a number of reasons. First, it is difficult to find a book/story that fits exactly to your level of study. You don’t want something too easy (it won’t challenge you), and you don’t want something too difficult (you won’t be able to understand it). 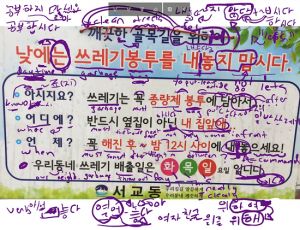 The problem with stories written by Korean people is that, while simple to native Korean children, they do not address what foreign learners of Korean need. In addition, most people who read this website don’t live in Korea, and therefore do not have access to Korean material. I have summoned our native Korean speaker (Seulgi – who proofreads the every lesson and is the voice of all the recordings) to write short stories in Korean. Seulgi writes a rough-draft of a story. Once the story is finished, I go through the whole thing and make sure that the grammar/vocabulary level within the story is appropriate for somebody who is somewhere between Lessons 50 – 75 of this website. I also include some more difficult vocabulary and grammatical principles to make sure that readers are constantly challenged throughout the story. 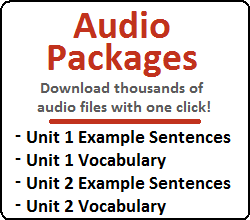 Every word or grammatical principle in the story that has not been introduced on our website up to Lesson 75 is underlined. An explanation of these difficult principles is given after the story. These explanations also include the specific lesson on our website (after Lesson 75) where the explanation to that principle can be found. The entire story is translated into English (by me, Will). The English translation is presented along with the Korean story, but only after the entire story has been presented in Korean first. This allows you to read the Korean story without looking at the English translation unless you need it. The whole story is then checked again by Seulgi to make sure that anything I changed is still completely natural sounding in Korean. 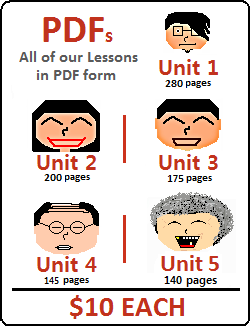 Now you have a story that was written specifically to meet the needs of intermediate learners of Korean who want to increase their reading ability. Stories will be released in sets. The first story of every set will be free. You have the option of purchasing the other stories for $3 each, or all together for $10. You can also purchase the Stories individually below. A university student finally summons the courage to talk to her long-time crush. A child spends a day at the zoo with her father and sees all of her favorite animals. A mother throws a birthday party for her daughter for the first time. After recently starting a new job, a young woman finally has the chance to relax. Two girls plan a trip to England to take a break from studying in Ireland. After you pay, you will receive an e-mail from me with the files you purchased attached. If you have any questions, never hesitate to contact me.